One of the joys of racehorse ownership is visiting the training establishments to see your horse in its natural surroundings and get to meet your trainer, the lad or lass who cares for your horse, and viewing the training facilities. Very often you not only get an insight into the world of racing, but also pick up on other horses in the same yard - the stars and the stable favourites. 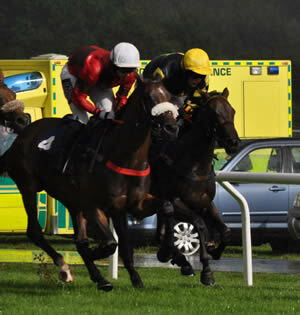 We work with a wide range of trainers, both in jumps and flat racing. All of them are happy to put on yard visits for our small share owners (as its a part of our contract with them! ), so we tend to arrange on average two yards visit per season per yard. You can ensure your horse has a yard visit included when you choose from the 'View the Horses' area as we state alongside the horses details whether a visit is included, or can't be guaranteed for some reason. The yard visits tend to happen at quiet periods of the season, in order for the normal running of the yard not to be compromised and they usually last a couple of hours. Usually we will conduct the first visit in Spring, and the second in Autumn, to ensure both the weather and that the trainer has time to devote a full half a day to our shareholders. When a yard visit has been planned your Racehorse Manager will email you to alert you of the intended visit and also ask you to 'Register' for the visit by simply clicking a button. The visit is then confirmed by email along with instructions for getting to the yard and times and dates. If you live abroad or are unable to make the date you can view a gallery of pictures of the day and also read an overview of what happened from within your Racehorse Manager. We allow shareholders to bring a couple of friends or family with them to the visits. Our Yard Visits are very well attended and provide an excellent opportunity for our shareholders to get really up-close to their racehorse. 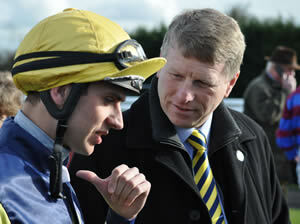 Held twice every season for virtually all our trainers. As a shareholder, you are welcome to attend both visits - all we ask is that you register your interest so we can judge numbers and also provide you with confirmations of date, time and travel details. With all our trainers we also put on extra 'Drop-in' days, where we will be at the yard for a morning, and you are invited to come along. These are informal mornings, often organised only a few days or a week in advance, but offer an extra opportunity to visit the yard. 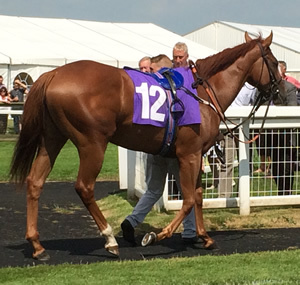 As well as our popular small shares, we offer a small number of 'Private Service' shares which provide a 4% share in a racehorse for the season for a one-off price. Available as shares for yourself or as a gift. If your horse is entered to race, you can immediately register for Owners Badges - on your PC, tablet or smartphone.